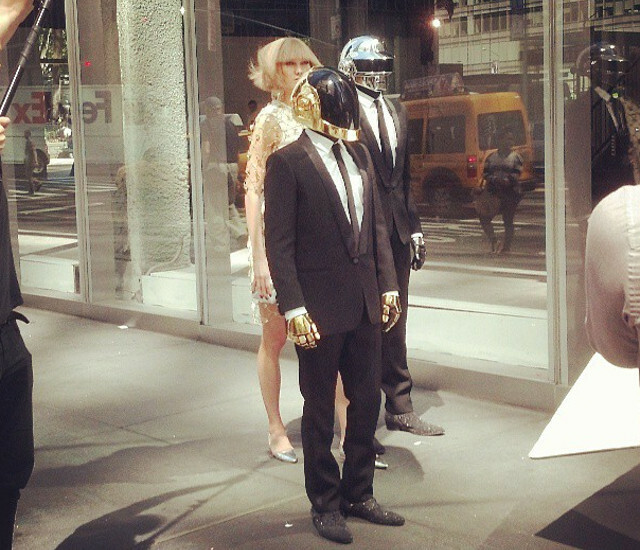 Mysterious electronic duo Daft Punk (or two guys in helmets) is filming in Manhattan right now. They've been spotted at Park Avenue and 42nd Street near Grand Central so far—with one witness wondering if it is really them: "Are they imposters? Guess we'll never know, which is sorta the point." 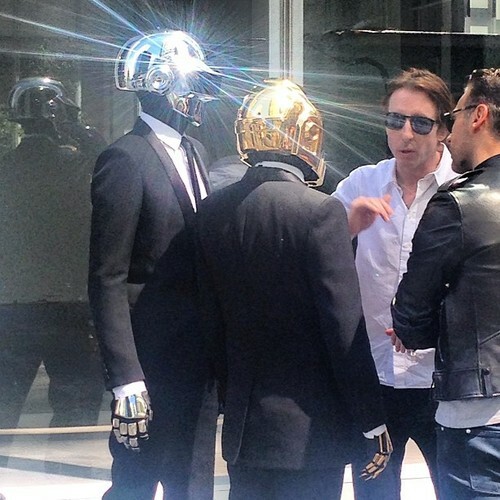 But one Daft Punk expert claims it is them: "That's actually them, the height difference between the two is just like their other photos."